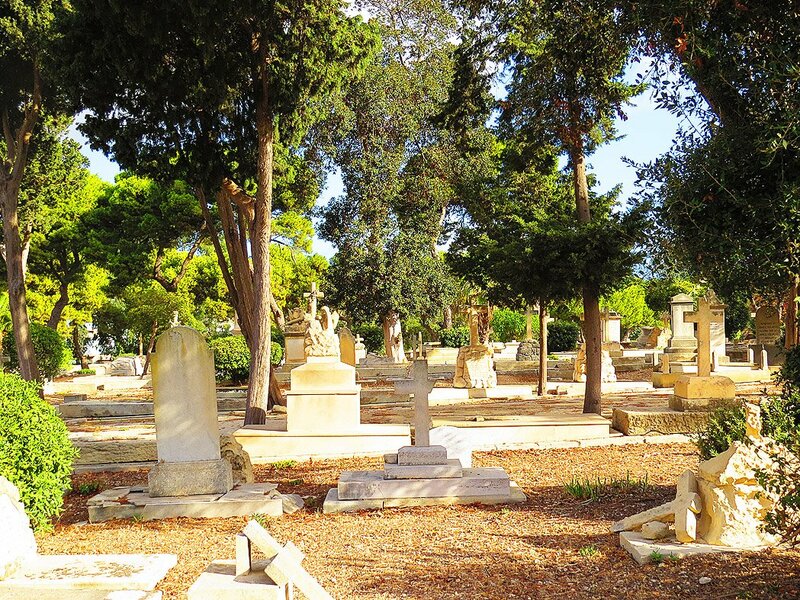 Although located in a highly urbanised location, Ta Braxia Cemetery, found just off the main road that from Valletta leads to nearby Pieta and then on to Sliema, is sufficiently discreet to be off most people’s radar. 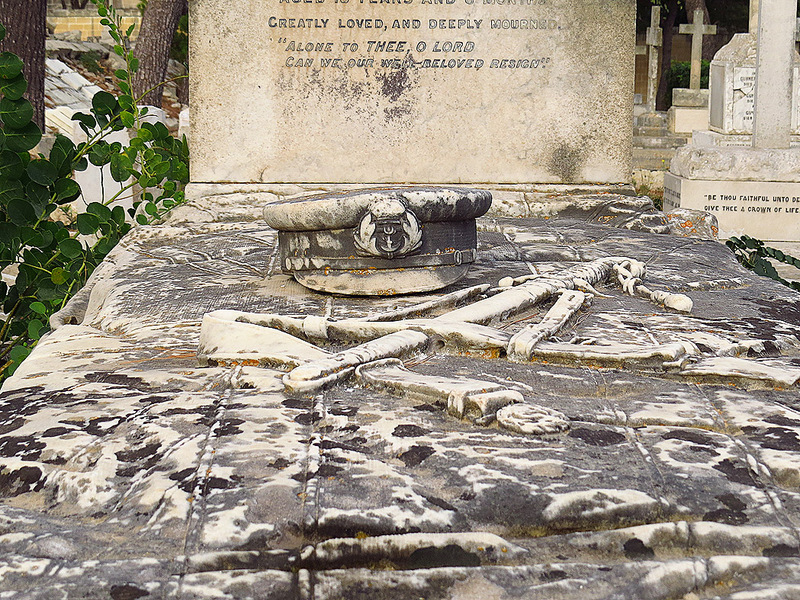 This is one of the ‘interfaith’ cemeteries found around the island –the creation of which became a necessity when the (mainly Protestant) British started stationing a large garrison on the island in the early nineteenth century, and neither repatriation of the deceased nor burial in Catholic cemeteries were seen as the ideal solutions. 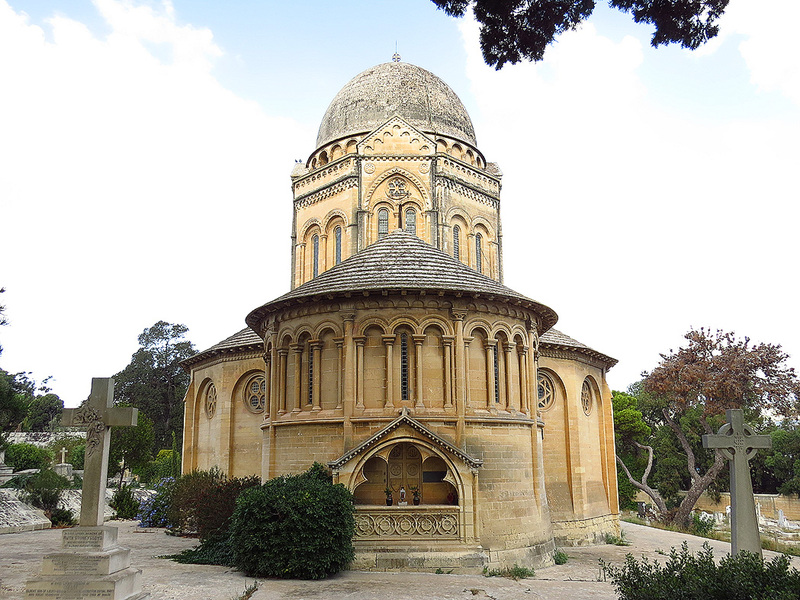 The cemetery was laid out in 1855 by architect Emanuele Luigi Galizia when he was still only 25, and opened in 1857. However, Ta Braxia’s beautiful Neo-Romanesque chapel was not entrusted to the young Galizia but to the notable English architect John Loughborough Pearson – whose oeuvre includes the Cathedral at Truro in Cornwall. The much in demand Pearson never came to Malta to supervise the work. 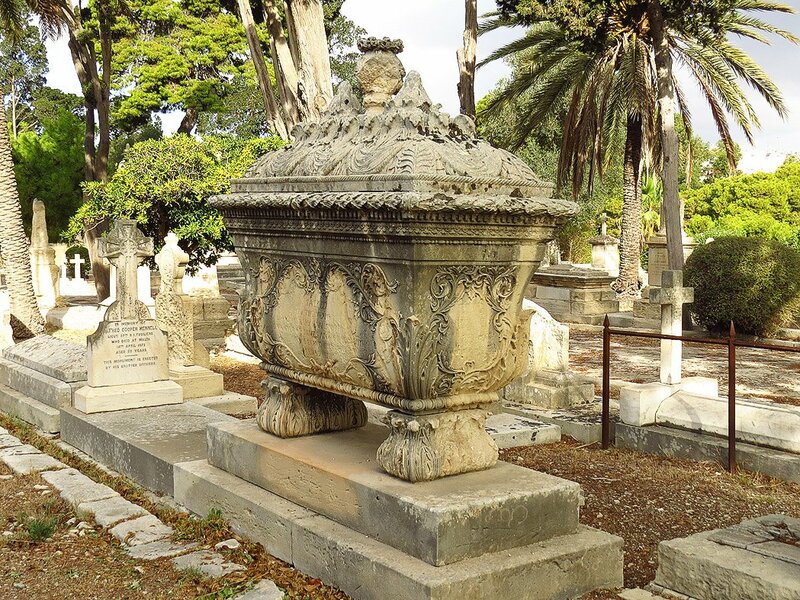 There is no doubt that the talented Galizia must have been inspired by Pearson’s work – he went on to become the island’s major Neo-Gothic revivalist, designing some notable buildings in the style – among them Malta’s major cemetery, the Addolorata in Paola as well as the much smaller but more exotic Ottoman Cemetery in nearby Marsa. The cemetery contains a good number of ornamental monuments some of which suffered damage due to WWII bombing. Although some of the more notable monuments have been rehabilitated, restoration on the cemetery is still a painfully slow process and the resultant sense of abandon lends the place an appropriate melancholy look. Every year on All Souls’ Day, a service of Remembrance is held in Pearson’s chapel and there is the occasional burial but Ta Braxia remains largely a haven of peace and solitude – seemingly immune to the fast paced life beyond its gates. My great grandfather,his wife and some of his children and grandchildren are buried in Addolorata Cemetery Paola in one large plot which I have visited while there on holiday he was in the military he died in 1896 while serving with the army. I have relatives still living in Malta .